Organiclea is recruiting… Do you share a passion for getting local organic food onto local people’s plates? If you can deliver on logistics whilst making time to support the skills and learning development of others, read on! We are currently seeking to fill two new posts for our growing weekly box scheme which distributes locally grown fruit and veg around Waltham Forest. Can you help us envision the development of local food in our borough? Are you committed to co-operative work practices and looking for an opportunity to be involved in a thriving workers’ co-operative? Organiclea is recruiting for a Box Scheme Distribution Co-ordinator to take responsibility for and develop sustainable and people focused transport solutions for our Box Scheme. We are looking for someone who can deliver on logistics as well as help us to bring our training and volunteer programmes to this area of our distribution work. The ideal candidate will bring the vision for developing these areas of our work. Do you share a passion for developing local food economies? Do you have experience working with volunteers in a community setting? Do you love crunching the numbers and getting enterprise working? 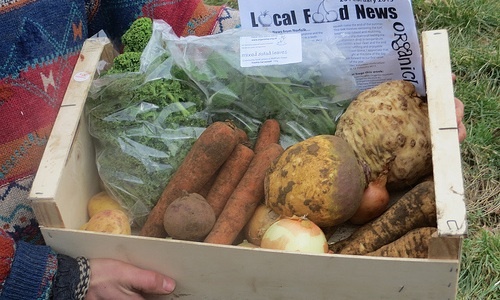 Organiclea is recruiting for a Box Scheme Logistics and Distribution Finance Co-ordinator who can keep our weekly veg box scheme running smoothly and support in the financial administration and overview of our thriving distribution work. We are looking for someone who can take day to day logistics to the next level, whilst supporting the strategy and growth of Organiclea’s enterprises. This is an opportunity to join our workers co-operative and bring your skills to a unique and exciting community food setting.